It is critical to understand the issues that come with those who are underage gambling on all sorts of events and activities. 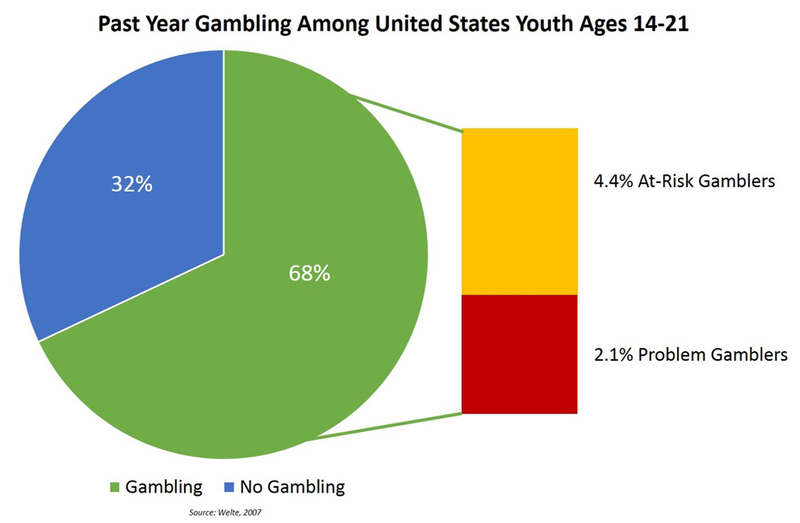 Youth gambling is a real problem that must be kept under control. This is all to help today’s kids avoid the commonplace problems that come with such events. To some, there isn’t anything wrong with gaming and betting. Many like to believe that it’s not necessarily as dangerous as drinking alcohol or smoking cigarettes or other dangerous things that younger people might try and get into. But the truth is that underage gambling can indeed be a real threat to anyone’s life. It is especially important to be preventative so any risks that teens get into can be controlled. Youth gambling often starts with simple bets on all sorts of things here and there. Teenagers might try and bet on stuff with their friends like sporting events or other things that may happen. Others might even get into convenience stores and successfully manage to buy lottery tickets. This is especially the case with places that don’t have vending machines that review one’s driver’s license or identification to confirm a person’s age. Some of those spots might just be willing to sell tickets simply to make money off of those sales. Such activities might start off slowly. But over time, like with any other vice, it can snowball and become an even more significant issue. Over time kids will get onto various casino websites to play around with a variety of games. They participate in card games, sporting bets and much more. Sometimes these games entail skill with blackjack and poker especially being commonplace among those games. But eventually it moves on to where they might be interested in games based on luck like slot machines. It can be very easy for anyone to lose loads of money off of some of these games. This could be a real threat to anyone’s life. This comes as some games are so addictive that it can be difficult for people to keep tabs on their lives. Eventually it gets to where some youths might try and use money they get at their jobs to play more of these games. They feel that eventually they’re going to make money off of this stuff. After all, they often read stories about people hitting it big and winning loads of money. While these events can indeed happen, they are few and far between. The worst cases often involve some younger people trying to swipe money off of their parents or other people. They do this because they know it will give them more funds for playing along. Some might think that they can always pay those people back after they win big totals. But in the end, it only gets to the point where the cash isn’t coming back. Many of them are likely to engage in other dangerous activities. They could start consuming alcohol or tobacco. Some harder forms of drugs may be used by people who gamble too much. These include not only cigarettes but also some items that might be illegal in certain spaces. Marijuana is particularly used by many. Various school problems can be a concern. These problems entail issues like truancy and struggling to keep up with classes. The thoughts of gambling often cloud one’s mind and make it harder for such a student to pay attention to one’s studies. Family issues often develop in many people. Some might become withdrawn from others. Many will also develop a sense of distrust. This comes as they might think that their parents are onto them in terms of looking into certain behaviors and actions. Depression and thoughts of suicide may also develop. This occurs as many people might feel as though they are in real problems after struggling to make money gambling. Dissassociative behaviors may also occur. These include ones where someone tries to “escape” the daily routine. Such actions are well against what people typically do and can be very threatening to one’s overall life. The worrisome nature of many of these risks can be rather concerning to anyone. It is a necessity to watch for how certain actions can develop under experience such a significant addiction. It is important for any teen to have a strong personal support system. This includes a number of positive peers and friends to help with encouraging more productive activities. This is to reduce anyone’s likeliness to engage in such risky behaviors. Proper boundaries should be established in terms of what people can do. These include boundaries based on what can happen at school or things that people may be allowed to handle. Such things can help teens with managing their lives in a more controlled manner. It is especially important for parents to talk with their kids. They have to discuss different topics with regards to the commonplace problems they might come across in their lives. This includes a review of what teens can do to manage stresses and the pressures that they might experience over time. Parents should also help teens with developing problem solving skills. This is to help them understand what they can do to manage issues in their lives without resorting to drastic measures like gambling. Youth gambling is indeed a real concern that must be controlled properly. By using the right plans and ideas, it should be easier for teens to be kept under control so they will be at less of a risk of getting into trouble. It is all about giving our younger generation more control over their lives without being at risk of harm in any way.